The impact of China’s clean air and renewable energy policies are beginning to have an impact on the country’s coal industry, according to reports suggesting domestic coal production fell last year. State media reported on Monday that coal production fell in 2014 for the first time this century, with production totalling 3.5bn tonnes between January and November representing a 2.1% fall on the same period in 2013. 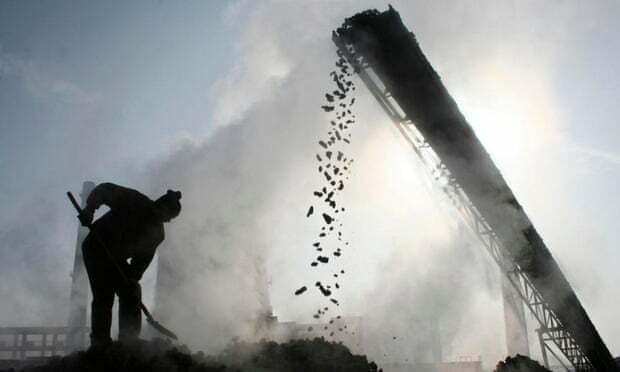 The China National Coal Association (CNCA) predicted that full year production will fall 2.5% year-on-year. Meanwhile, Jiang Zhimin vice president at the CNCA, told news agency Xinhua that the sector expected production to decline by a further 2.5% this year. The industry maintains that it has been hit by a number of one-off factors, such as high rainfall leading to high levels of hydro-electric production that has in turn impacted demand for coal. Similarly, government restrictions on the export of low-quality coal hit a market that was already suffering as coal prices fell by around 20%. However, Xinhua acknowledged that much of the pressure on the coal industry is the result of demanding new environmental regulations from the Chinese government and increased investment in renewable energy, that has made China the world’s largest investor in clean technologies. The news agency said that between 2005 and 2013 emissions per unit of GDP fell 29% in China, while new figures suggest a further drop of 4.8% was achieved last year as investment in clean energy infrastructure continued to soar.